Two players were conspicuously missing as the Super Eagles observed their first training session on Tuesday ahead of Saturday’s 2019 Africa Cup of Nations qualifier against the Mediterranean Knights of Libya. Coach Gernot Rohr had invited 24 players for the crunch games against Libya on Saturday in Uyo and three days later in Sfax, Tunisia but only 22 players took part in the maiden training session. 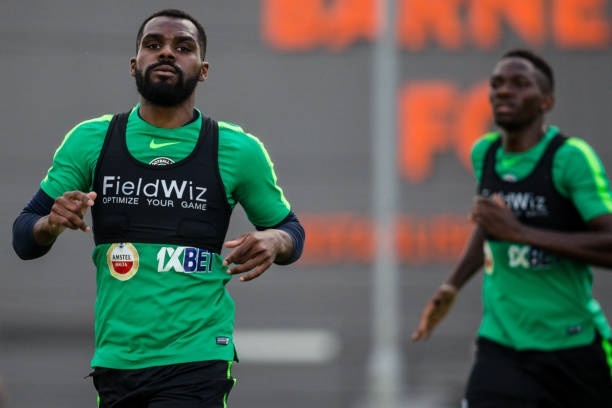 The missing duo yet to arrive in Uyo, capital of Akwa Ibom State are Russia –based wing back Bryan Idowu and China –based forward Odion Ighalo who officials assure will join the team on Wednesday. Meanwhile, match officials from the Democratic Republic of Congo, as well as the referee assessor from Mali and the security officer from South Africa, will arrive in Nigeria on Thursday and then fly to Uyo on Friday morning.